In a new era of big data and powerful analytics, simulation software is revolutionizing engineering and product design. Not only do simulation software tools allow us to create more efficiently and more effectively, but they also allow us to test against many unforeseeable events. Structurally we can make designs stronger, give them flexibility to withstand natural disasters, or optimize them to use the least amount of costly materials. But with increased design complexity, we continue to encounter more complex problems with available software. Many believe that today’s popular CAE systems are on the tail end of their life-cycle. Having become so advanced and mature, recent updates for this software seem modest, lacking dramatic new features that engineers are looking for. But the reality is that software limitations are only part of the problem facing the future of engineering and design. Most software systems are quite complex, allowing engineers to push the boundaries where they’ve never been before. But when a boundary is met, and the limits of the software are pushed, you’re certain to find an update, patch, or plug-in that’s been developed to meet your every need. Simulation software systems have been of great use in recent years, allowing engineers to innovate in ways we’ve never seen before. With the right algorithms and a computer in hand, there’s no limit to what we can create, and we continue to improve software to meet our growing needs. Still, we continue to find that not all engineers are equally as adept at utilizing these important tools and the availability of simulation software is still limited. Therefore, the major issues that simulation software and engineers will face in upcoming years are: cost, ease of access to available software and software updates, and usability in spite of growing complexity. Cost and ease of access are interrelated issues that have as much to do with software as they do economics. Simulation software saves companies and firms exorbitant amounts of costs when it comes to physical design and prototyping, and software companies know exactly what how valued their products are to users. This has led to a large shift in licensing structures reflecting just how essential these tools are to our trade. However, with the rise of the Internet of Things (IoT) and the growing number of competitors, software companies and vendors will need to improve flexibility in usage to keep their market growing. Engineers agree that as program coding and software capability become more complex, access to this software and licensing should be easier than ever before. Similarly, although it has many advanced capabilities for engineers that master computer-aided engineering, simulation software should not be difficult to use. Engineers should not need to understand the coding in the software to benefit from it, and even though most programs offer training in complex CAE, the software interface should even be easily understood by basic users just getting started. Simulation software is becoming an essential tool to the field of engineering and design, and growing the amount of users innovating with these systems not only means better designs but also more data to help improve the software of tomorrow. 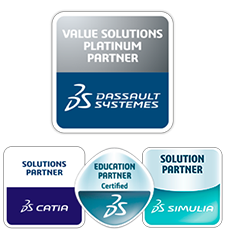 Improving education around design and simulation software, available resources and overall software design will also be necessary to improve engineering worldwide.